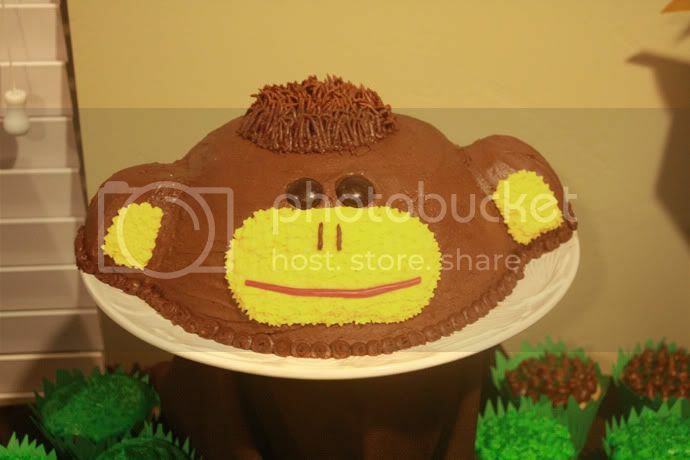 Since its been about 4 months, I figured I'd post pics from Colton's Mod Monkey Party, because I've had a few people ask. 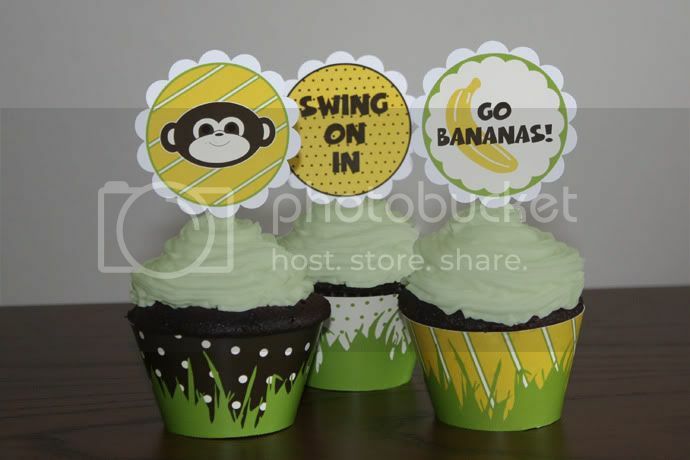 So, I kept seeing these cute Mod Monkey ideas for parties, but I hated the colors, and wanted to do my own color scheme, so after going to Roberts Arts and Craft I found these cute papers that I did the windmills in and it all went from there. Here is the invite I came up with. 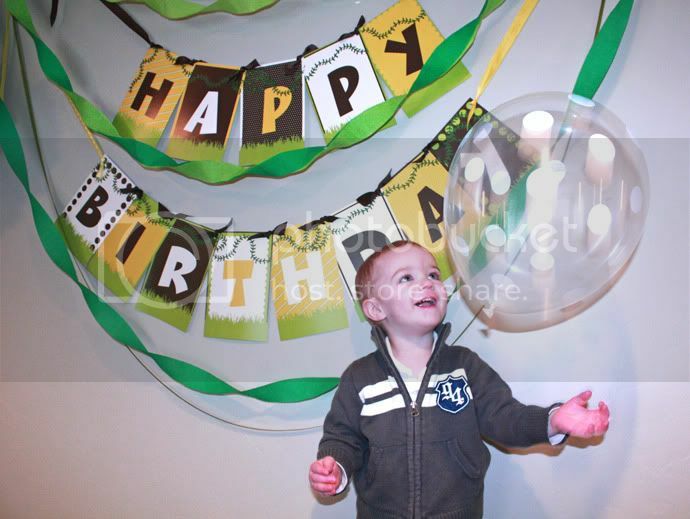 You can get it from my etsy page here and get it with your own custom party details. 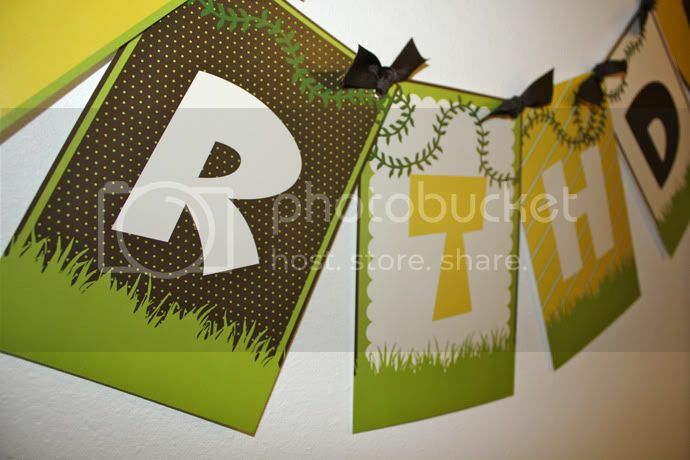 I sell my products as a print version or a printable, if you like to do the printing yourself. 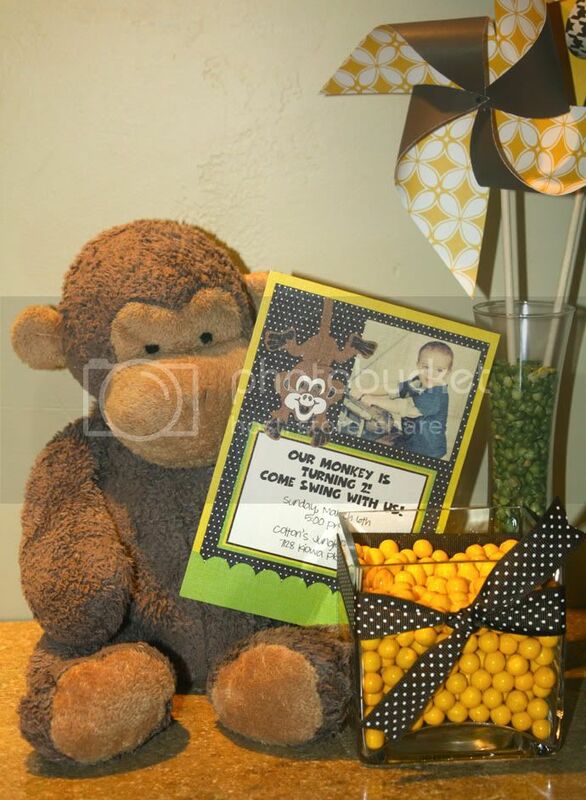 Here are some pics of the general Mod Monkey decor. 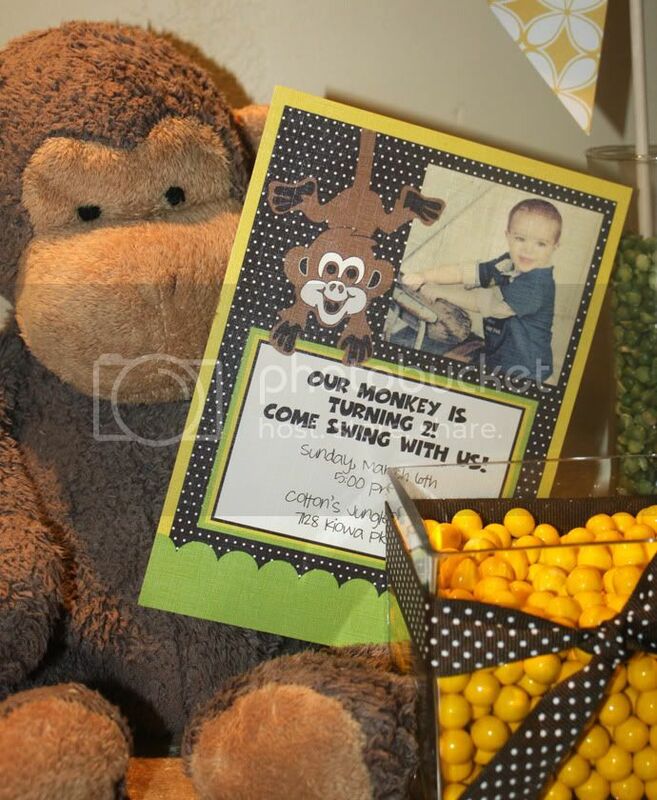 I would have to say it is a mixture of monkey and jungle animals theme. 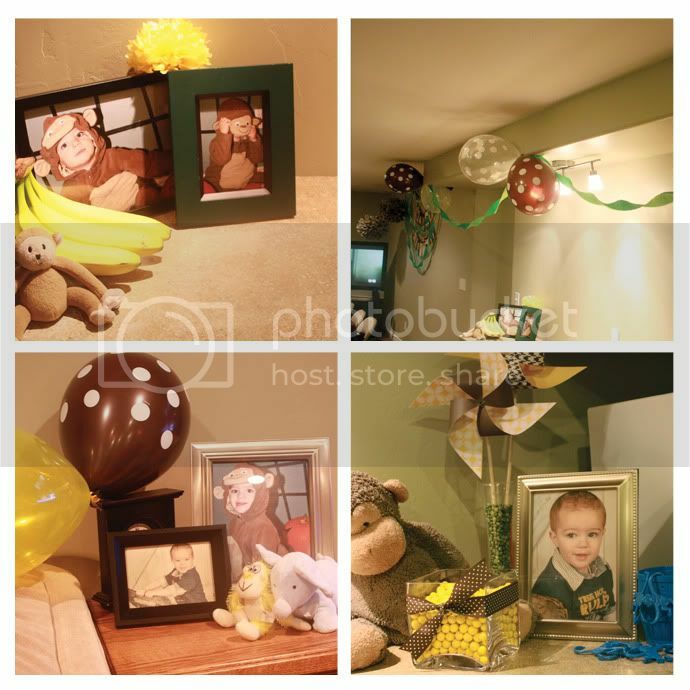 I love to add a little mix so it's not all too one item (for example if all the decor was monkeys and banana's, it might get a little old). My Happy Birthday Mod Monkey Banner. Now it doesn't have any banana's or monkeys in the banner, but that is one thing that I LOVE most about it! It is unique in and of itself! I added some crepe paper and ribbon to give it a little interest. 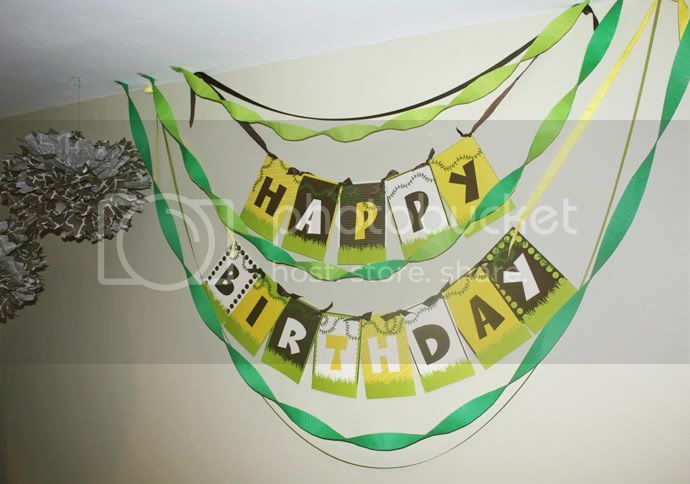 Again, the banner can be purchased in a printed or printable, do it yourself, item. They are found here in my etsy store. 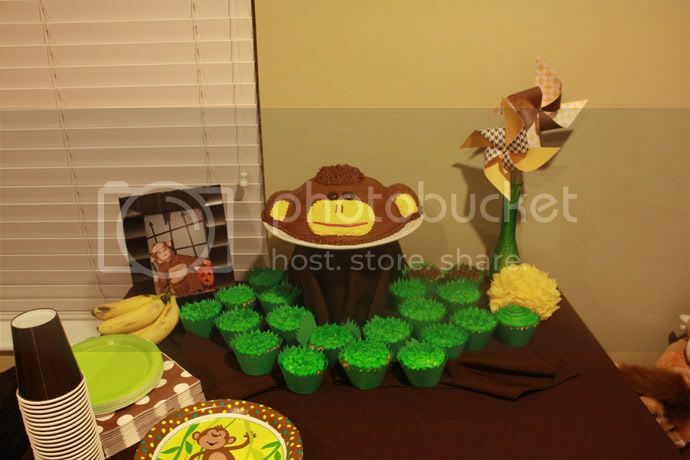 For the monkey cake I did, I really wanted the grass cupcakes around it, but after I designed some cute cupcake toppers and cupcake wrappers for my Etsy store. 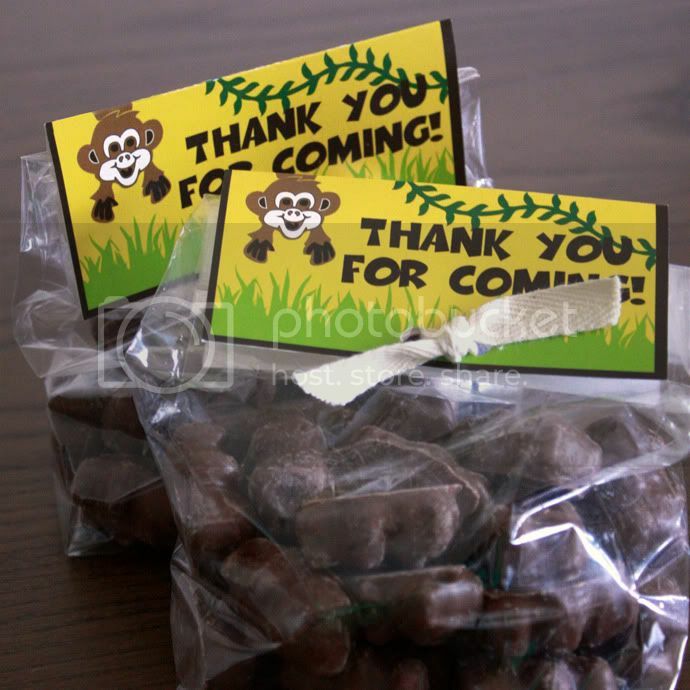 Here were the Thank You's for everyone who came with some chocolate covered monkeys (okay they are bears, but who's really gonna notice a difference). Holy moly! That is so cute! I love all of your party ideas. I would totally pay you to do a party for me if we lived closer! You're so seriously creative.